I listened to the suggestion and did not make the frosting. This simplified things greatly. I have not made many vegan cakes, but this one was awesome! 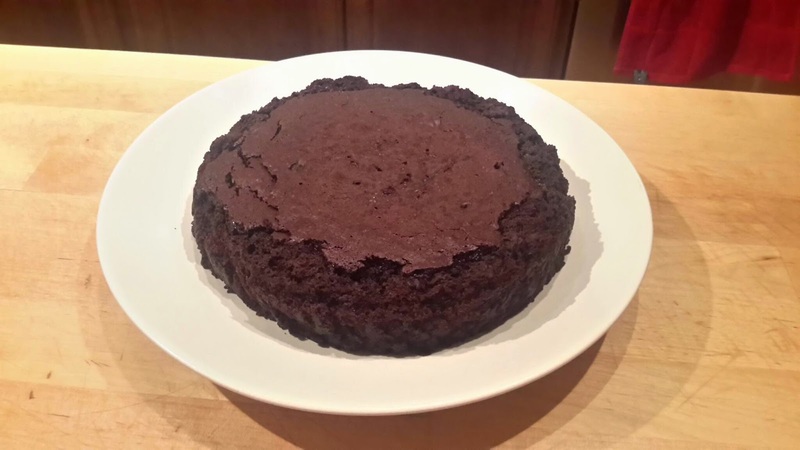 The Balsamic vinegar went very well in this cake. We served the vegan cake with full non vegan vanilla ice cream. :) I would make this again! When this came out of the oven my bro bro and I ate the crust. So nice and crunchy. The poor husband couldn't have any lest his migraine flare up.